New Zealand passed comprehensive gun control laws six days after a mass shooting. What is America waiting for? On Friday, March 15, tragedy struck New Zealand in the form of a mass shooting, where 50 Muslims lost their lives at mosques. 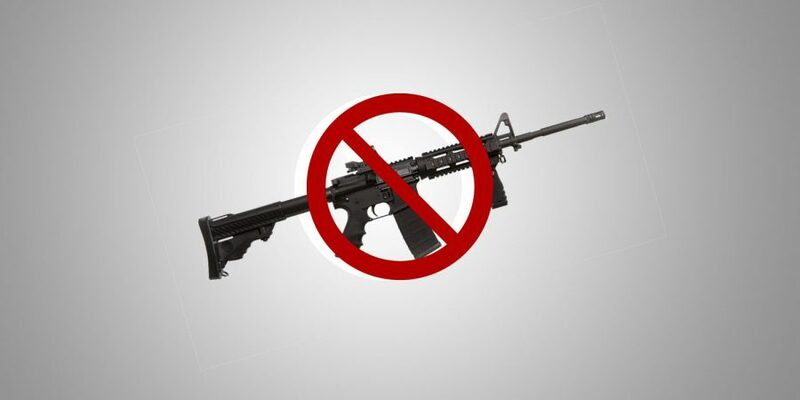 Six days later, New Zealand’s Prime Minister, Jacinda Ardern, announced a ban on military-style semi-automatic weapons and assault rifles. New Zealand will ban sales, effective immediately, so people cannot stockpile the weapons. Additionally, there will be a buyback period where citizens can turn in their guns safely and without consequences. It only took six days for New Zealand to take drastic steps toward ending violent shooting attacks in their country. Today marks five-hundred-and-six days since the deadliest mass shooting in American history, and since then, there have been 11 deadly mass shootings in America using AR-15s alone. That number skyrockets when other forms of semi-automatic weapons are included. So, if New Zealand is taking immediate action against gun violence and becoming effective in preventing deaths, why isn’t America making changes? The answer is simple — people are so caught up in allowing gun control to become a political debate: an argument based more on wanting to be right rather than common sense. Meanwhile, people are dying waiting on legislation that may never come. I recently attended a volleyball tournament in Washington D.C., and walking into the venue, I realized no one was checking bags. I looked around. People were carrying huge duffel bags into a building that holds over 15,000 people and the highest level of security seemed to be the few cops outside. The sound of a ball hitting the floor was enough to give me chills. I feared people I didn’t know and even some that I did. At one point a table fell; the loud and sudden noise was enough to send me into a panic. I reflexively cowered and tensed. I was there to win, but I couldn’t focus on volleyball. Not when all I could see was a possible scene of bloodshed and terror. The fear I experienced from the possibility of a mass shooting shouldn’t be a fear anyone has to even think about. By looking at the example set by New Zealand, maybe it doesn’t have to be. The United States averaged almost one mass shooting per day in 2018. ONE. MASS. SHOOTING. PER. DAY. Children are being killed, and parents are sending their kids into the world unsure if they will come home alive. While these devastating incidents have brought tears, they have also allowed the survivors to step up and become activists. Teens like the Parkland survivors have become the face of political justice for younger generations by fighting for necessary changes within our country. Many of those teens are now able to vote. But sweeping change seldom comes overnight. In 1990, a shooting took place in Aramoana, New Zealand. The incident resulted in 14 deaths (including the perpetrator) and three injuries. After the Aramoana Massacre, New Zealand amended their laws to limit access to firearms. From the years 2006 to 2016, New Zealand has had 686 people killed. Only 65 of those deaths were caused by a firearm. That’s less than ten percent. Whereas firearms in America accounted for about 70 percent of all homicides between 1993 and 2011. Firearm restrictions are effective, as countless other countries have proven. And when those lower-level restrictions proved not to be enough as they did on Friday, New Zealand pushed the restrictions further to prevent further tragedy. Thoughts and prayers are not enough. America, please follow New Zealand’s example and make a change. Because if you don’t, any of us could be the next victims.